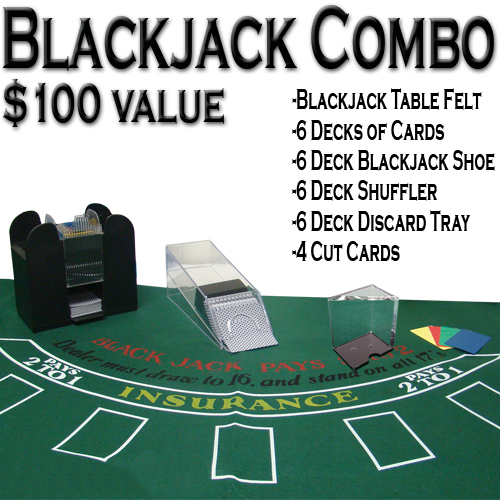 * This all-in-one blackjack combination pack provides you with everything you need to host your own blackjack party! 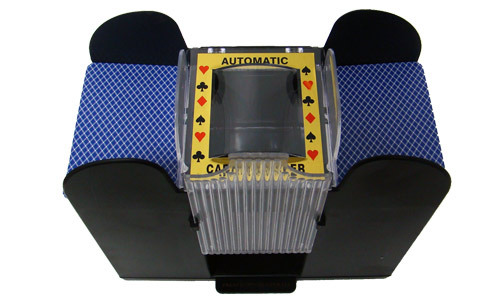 This pack includes a blackjack felt, 6 decks of playing cards(brand of cards subject to change), a 6 deck blackjack shoe, a 6 deck discard tray, 4 cut cards, and a 6 deck shuffler. 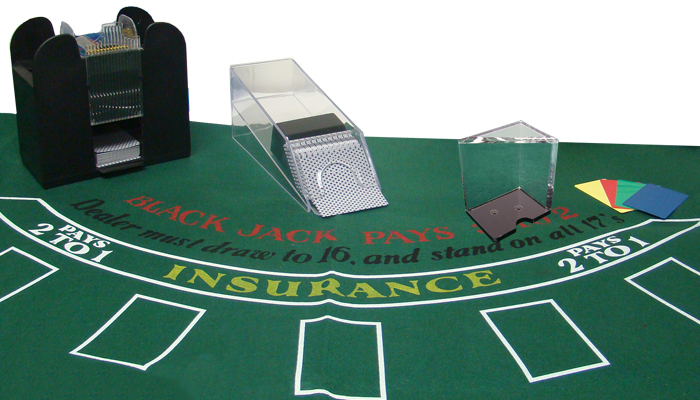 * This new portable felt has a layout for the popular casino game, Blackjack. 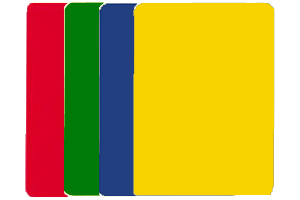 Blackjack is a game played in Casinos around the world. Now bring the excitement of casino gaming to your home.The Layout is 36" by 72" and can be easily used on a home table for parties. The layout travels well and is water resistant. Great for a gift!